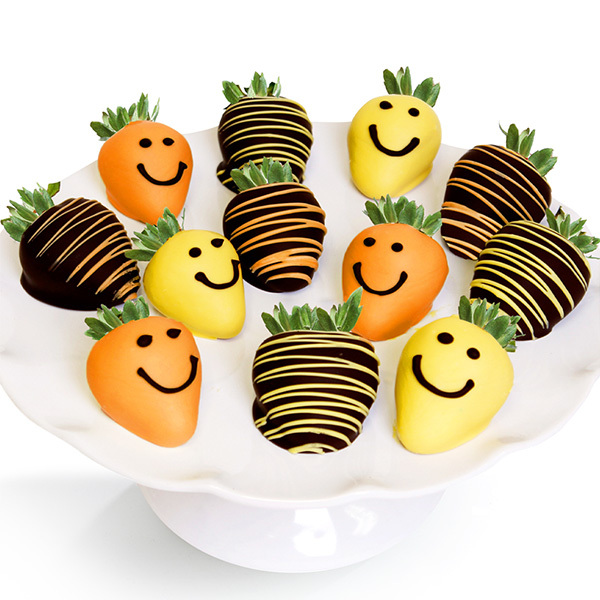 Make someone grin ear to ear with these decadent strawberries that are decorated with cheery smiles. We’ve taken the ripest berries we could find and hand dipped them in our signature chocolate. Each berry is then lovingly decorated in the most cheerful way with sunny colors of yellow and orange and bright smiles. These smiling berries are perfect for any occasion.